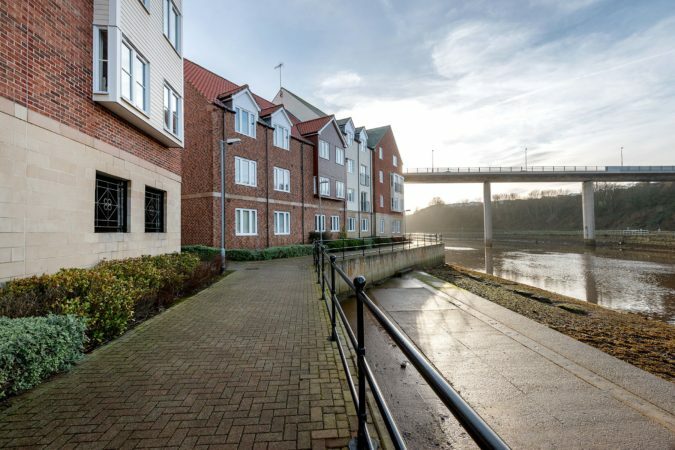 Low Tide Apartment offers lovely views of the River Esk and boat yard. 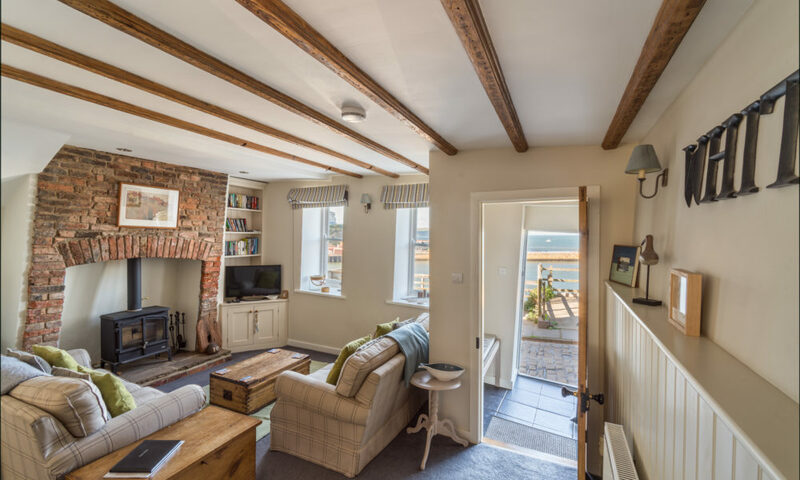 It’s at the quieter end of Whitby and, with free parking, is perfect for families and dog owners. 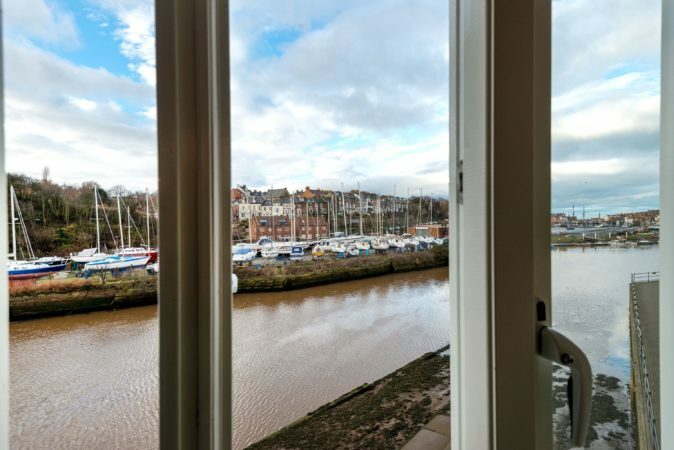 Low Tide Apartment gives you great access to all of Whitby’s top attractions and the chance to retreat to a sleek, modern holiday let at the end of each day. Your second floor, two-bedroom apartment is accessible via the lift or stairs. 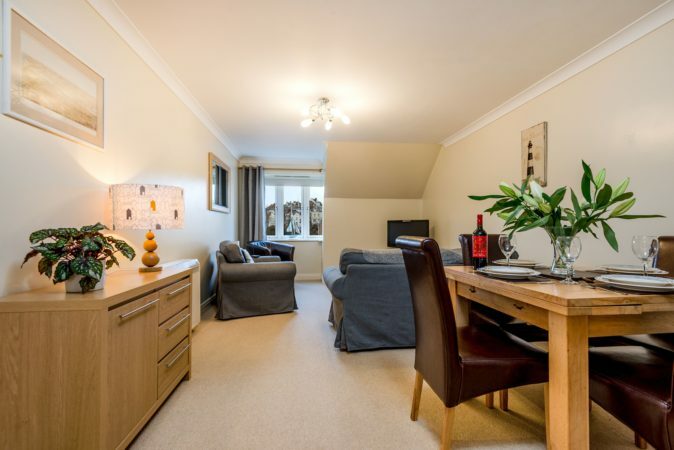 It’s fresh and inviting with an open plan kitchen diner and lounge, a double room and a twin bedroom, which are both river facing. Take a seat and enjoy watching little boats tripping around the yard on the opposite bank. 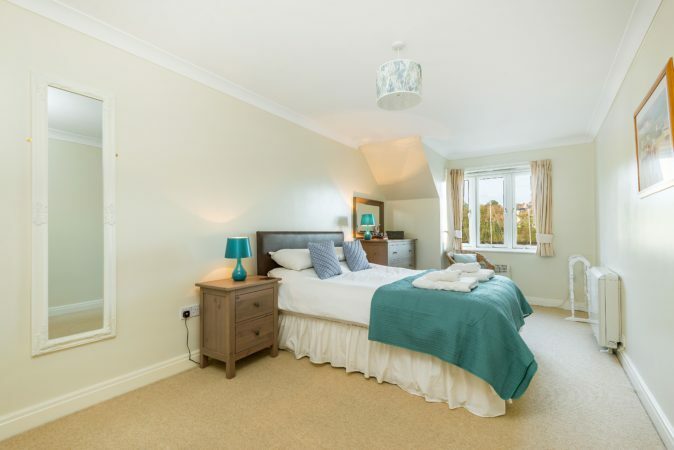 Keep watch and you'll spot the steam engines passing through the station too, making the apartment an inspired choice for families. 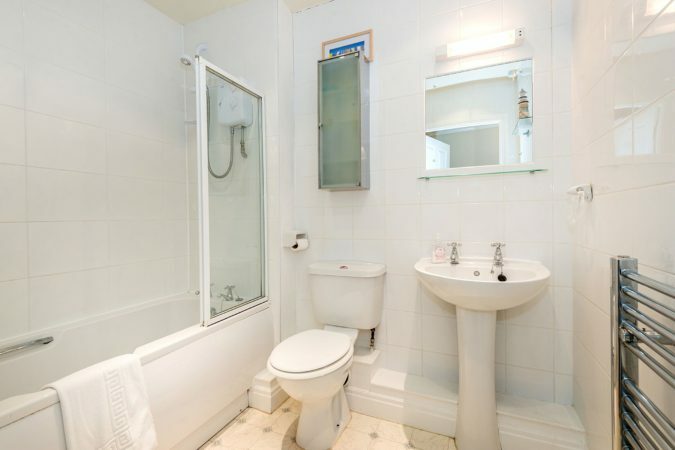 There’s a good-sized house bathroom, with an over-bath electric shower. There is now a dishwasher in the apartment so if you're dining in life will be easier! Low Tide Apartment offers so many positives - a much sought after free car parking spot for one. 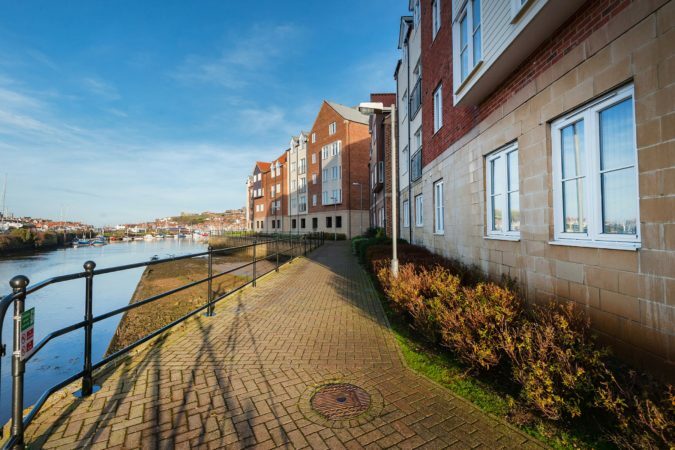 Like its neighbour (High Tide Apartment) Low Tide Apartment is dog-friendly and done up to an exceptional standard. 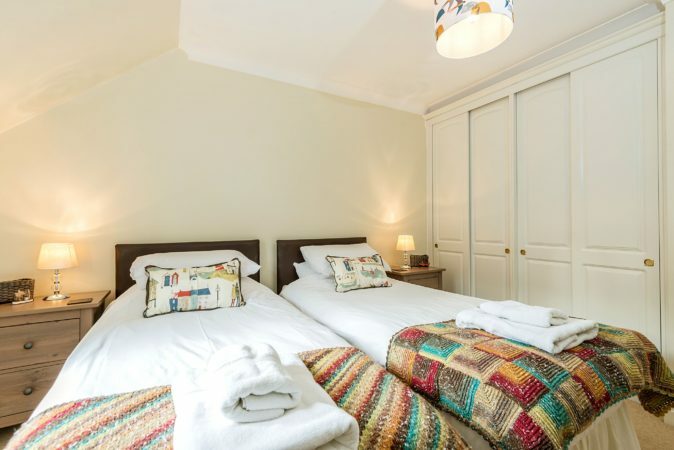 Groups can take both apartments and enjoy a wonderful Whitby holiday together. 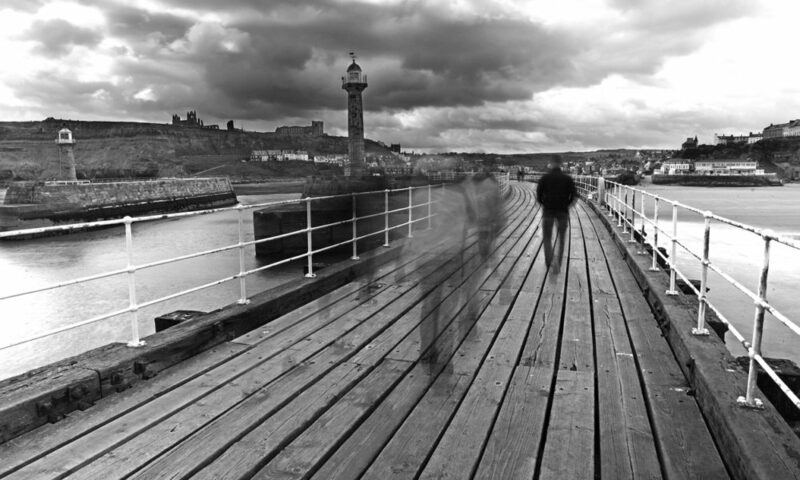 In fifteen minutes you can stroll to Whitby’s old town, Abbey or the historic swing bridge over to the train station. 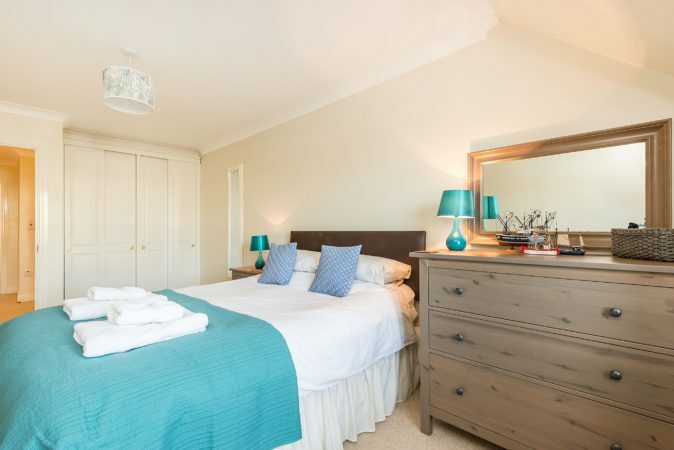 Or take the car to the West Side or Sandsend and play on the huge sandy beaches. 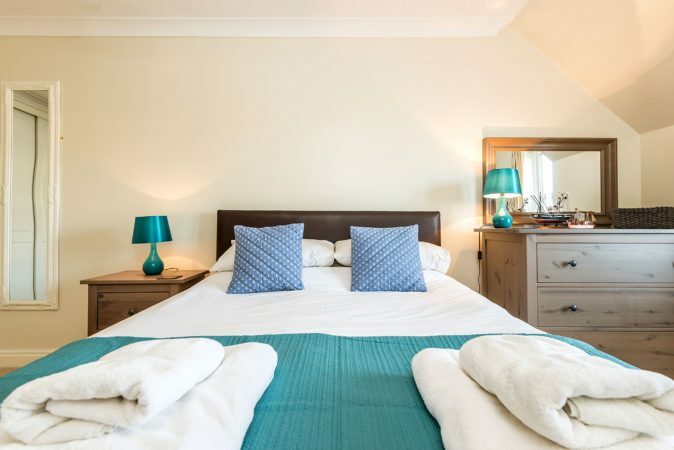 With free parking at the apartment, all of Whitby’s restaurants and chippies are at your disposal. 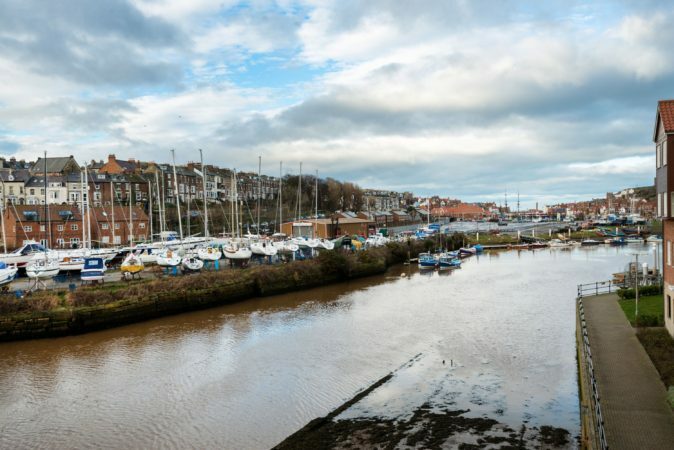 Dog walkers might wander the riverside path or walk inland to Spittal Beck fields for a run around. 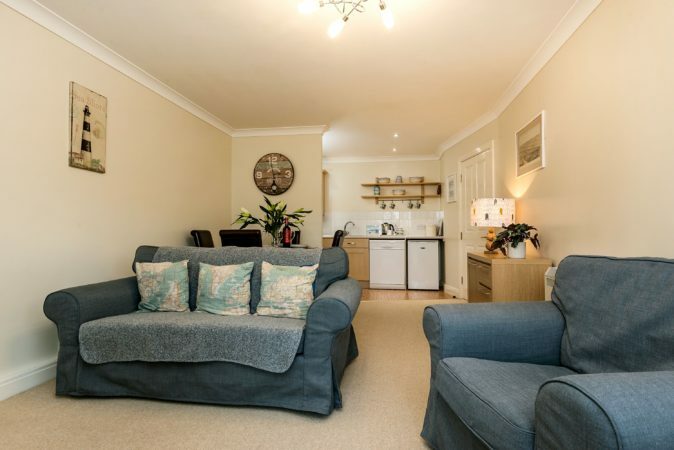 We found the apartment in a lovely position for Whitby and other places. 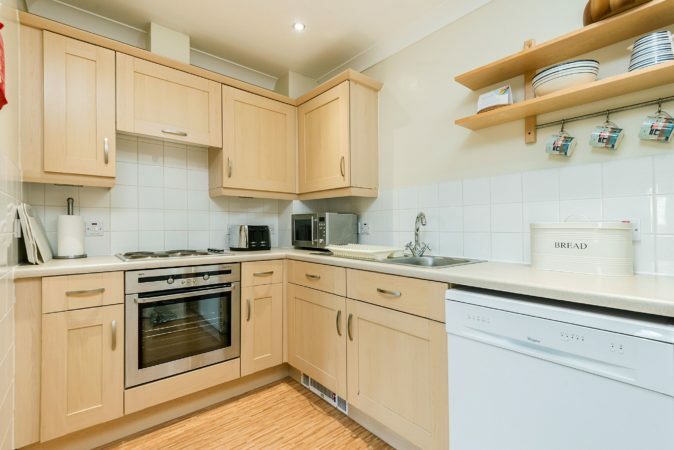 Very clean and well equipped with everything needed. Lovely view over the river, thoroughly enjoyed our stay. 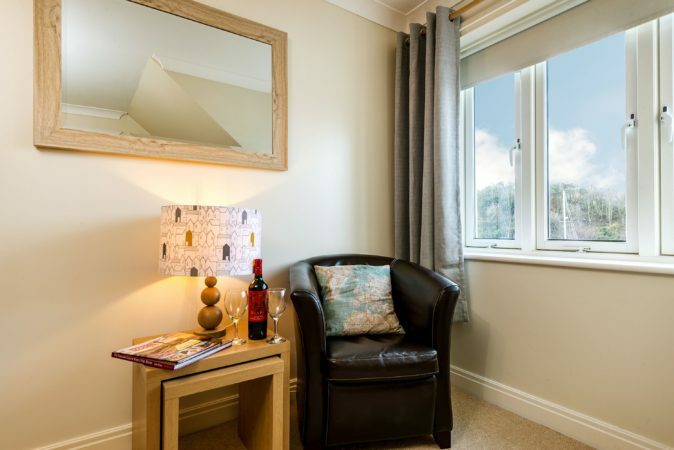 This was a very pleasant stay in comfortable surroundings. 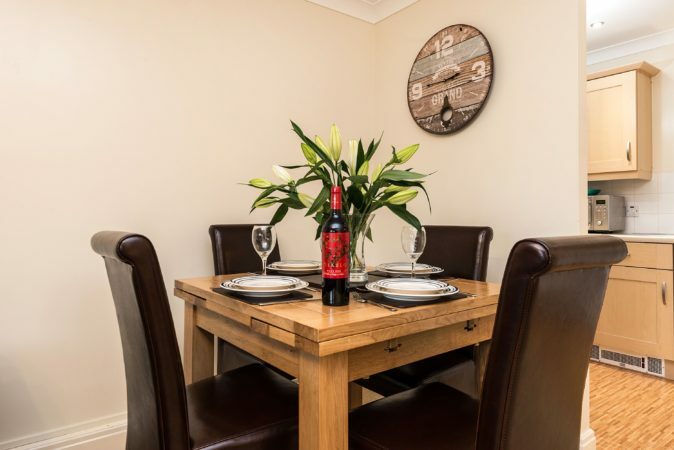 The apartment was presented really well and exceptionally clean and well maintained.Thoroughly recommend this property. 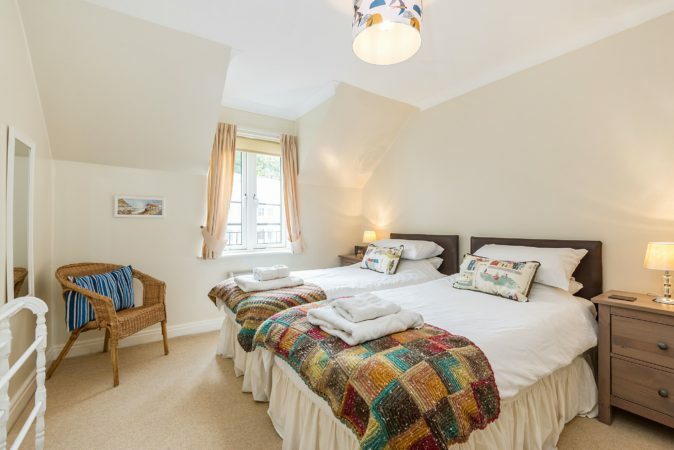 The apartment was excellent and provided the perfect base from which to explore Whitby. We will return for a longer stay.